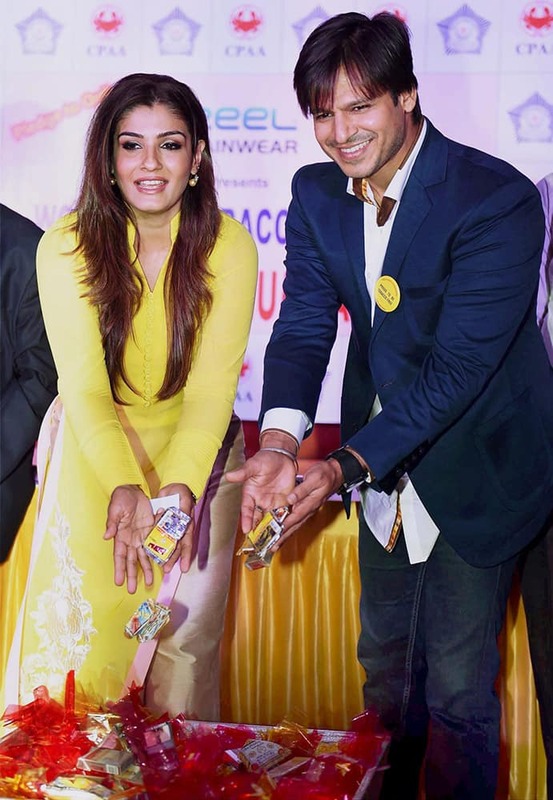 Raveena Tandon and Vivek Oberoi at the launch of Tobacco free Mumbai Police Station initiative in Mumbai. 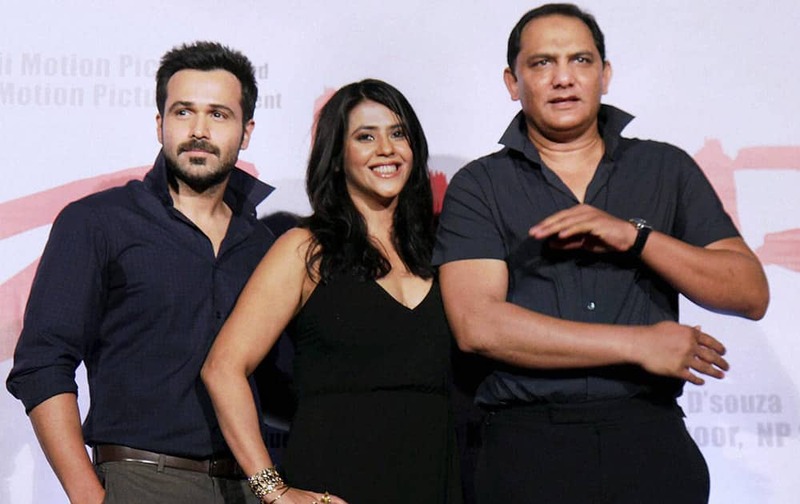 Mohammad Azharuddin with Ekta Kapoor and Emraan Hashmi pose at the preview of film Azhar, in Mumbai. Singer Nicole Scherzinger poses on the observation deck following the lighting of the Empire State Building in honor of NBC's Red Nose Day entertainment charity event, in New York. US actress, Alexandra Daddario, left, US actress, Carla Gugino, US actor, Dwayne Johnson, Australian singer, Kylie Minogue, US actress, Breanne Hill and Australian actress Morgan Griffin pose for photographers at the world premiere of San Andreas at a central London cinema. Chloe Flower, Lindsay McCormick, Russell Simmons and Jeannie Mai arrive at The 17th Annual CAST From Slavery to Freedom Gala at Skirball Cultural Center, in Los Angeles.